Hey, you can’t blame a guy for trying. Given all the excitement over large lottery jackpots in recent weeks, one creative British guy decided he wanted to get in on the action. 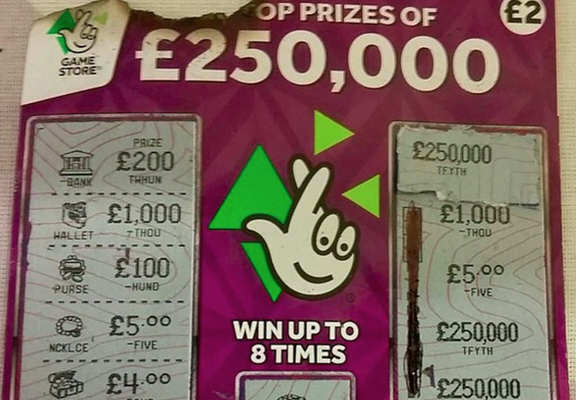 As reported by Mashable, Jonny Smith shared the bizarre story of his totally legit winning scratchcard on the National Lottery Facebook page, in the hope of getting a major payout of his own. It’s just a shame that a series of unfortunate events, including small fires and ink spillages, may have robbed him of his entirely deserved winnings. I may also add that due to my clumsyness, in a completely seperate incident i have also spilt pen ink on the other identifying number in the game column. Just my bloody luck eh!? 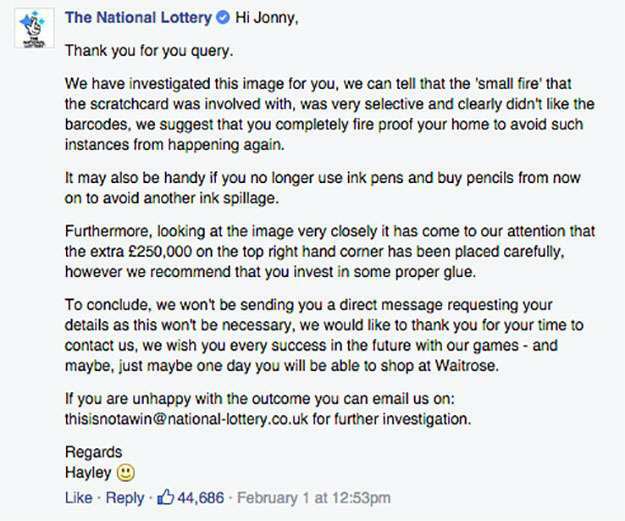 To their credit, the National Lottery weren’t about to let this injustice lie and they got back to Jonny promptly with a response. Unfortunately, after significant forensic investigations, they concluded that the ticket was not redeemable. Hey, maybe next time Jonny?